PotatoCommerce is the copyright holder of all the software sold on this site. Copying, redistribution, using or publication of any products or a part of them without PotatoCommerce’s permission, are strictly prohibited. You are not allowed to use any part of our code or a part of any other software or product from our website website. For more information visit our EULA page. You can use a credit card of most popular types to pay for an extension, or use PayPal account for payment process (drop us a line if you need PayPal to be enabled to make a payment). All payments are under protection of our refund policy. More information about the refund policy you can read below. Our license is per Magento installation. You can use a license of our products on subdomains and TLD domains based on a single Magento installation. For example, if store.com, store.net, store.com/mobile/, and best.store.com are different websites/storeviews of a single Magento installation, then it does not violate the License Agreement. You can use our module for testing purposes (without going live for commercial use) without any limitations. But if you apply a single license to multiple live Magento installations, then we consider this as the License infringement. All products are available for downloading from your account once the payment is accepted and verified. If you can't download a product please check the status of your payment via payment processor interface. We provide our customers with free upgrades of our products they purchase. An update is available from My account > Download my extensions page when logged into a personal account on our store. PotatoCommerce offers free lifetime support for our paid products. To ask for support or report bugs, please submit a ticket to our helpdesk system. Our office hours are Monday-Friday 6:00am to 4:00pm GMT. The maximum response timeframe is 24 hours, however it usually takes much less. Note, tickets arrived on a weekend will be processed on Monday. Please keep in mind that free support does not include customization of our products. This is a paid service, send us a ticket if you have got any additional requirements regarding our products. Products with zero base price for Community Edition come without support, however, they come with free lifetime updates. You can purchase support for free extensions on the extension product page if necessary (select "Support" product option). Enterprise versions of free extension are not free, you can see the price of each EE version by clicking a EE checkbox on the product page. According to our Refund Policy, All customers can request a refund within 30 days after purchase by submitting a correspondent ticket to our ticket system. Customers who have requested a refund must remove all copies of our software from their store, servers, computers, emails, etc. Refund requests after 30 days from the moment of a purchase are not accepted. NB: Installation and customization services, any custom or extra work are not refundable. 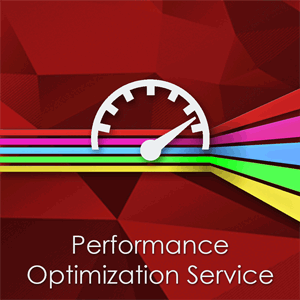 If you have purchased Magento Performance Optimization Service, only partial refund can be issued. More information is available on the service page. We don't refund a part of the grand total if the price of the products have been reduced. We reserve the right to decline a refund request if you have made any custom modifications of our product core files. We reserve the right to decline a refund request if you purchased/downloaded CE (Community) version of our extension and installed it on EE (Enterprise Edition). PotatoCommerce reserves the right to modify our Terms and Conditions at any time. All changes can be viewed on Customer Service, Refund Policy, EULA pages.